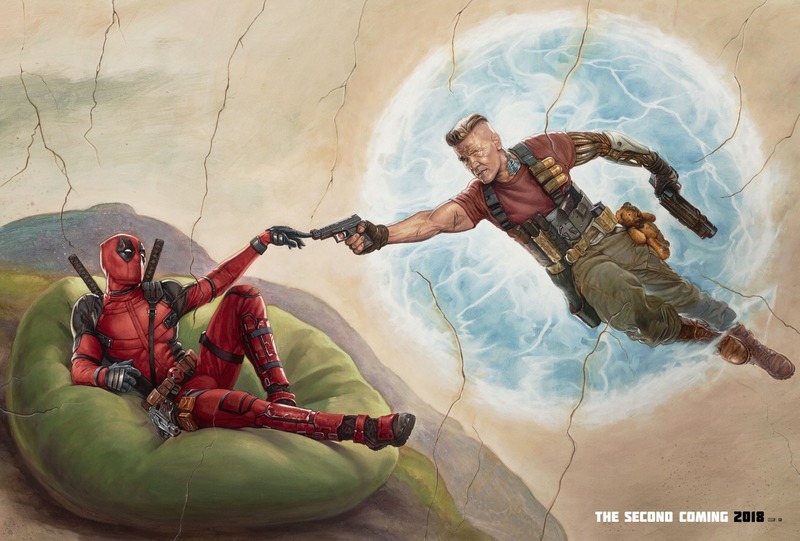 Ok, the truth is these awesome, illustrated Deadpool 2 teaser one sheet movie posters have been out for a really, really long time. But The Blot’s just been sitting on them waiting for today – the day Deadpool 2 officially hits theaters! Both of these DP2 posters are freaking hilarious in their very own off kilter way. 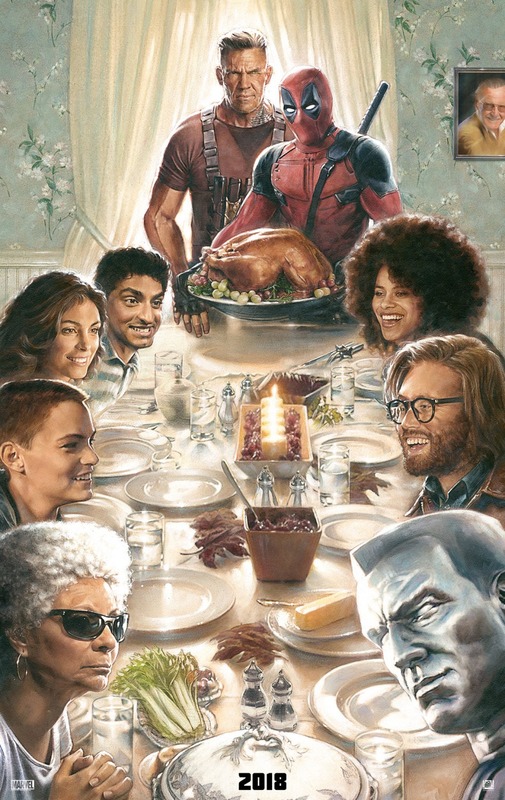 But if I had to pick, I think I would say the Thanksgiving Day dinner poster with the film’s entire cast is the better of the two. Then again, the juxtaposition of Deadpool and Cable in the poster above is pretty freaking great. Deadpool 2 opens today, Friday, May 18th, in theaters across the globe. So go see it already!